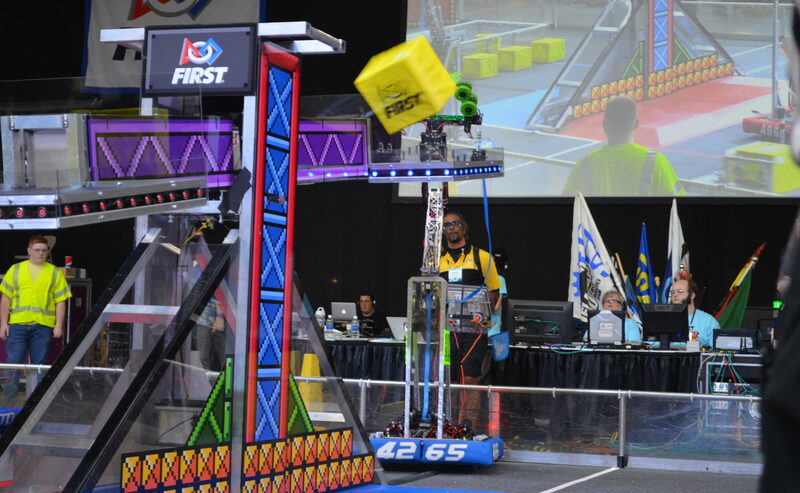 In conjunction with the Secret City Festival, we’re proud to have hosted the First Annual Secret City Invitational for FIRST Robotics and FIRST Technical Challenge teams! Competitions were held during the day, with evening entertainment across the street at the Secret City Festival — including headline concerts, a variety of performances, art show, games, and concessions. There were opportunities to interact with local companies at the forefront of innovation in science and technology, including Oak Ridge National Laboratory and much, much more. Watch this page to sign up for next year’s event! Discounted rates are available for reservations made by May 15, 2018. The Secret City Invitational is an off-season FIRST Robotics and FIRST Technical Challenge competition, hosted by FRC4265 and other area teams. For more information on FIRST, visit www.firstinspires.org. Contact Lisa Buckner at 865-207-7036 with questions.